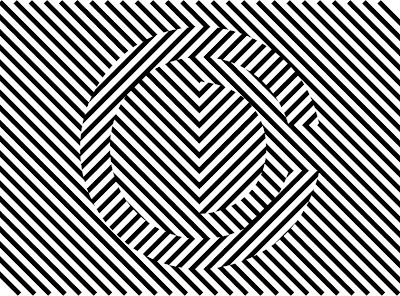 I had this for a while on my computer it's an optical art for a school project for art history lesson. I bet I was the only one who made the optical art self instead of just downloading a picture from Google. I like doing these kinds of optical trickery, like the animated businesscards are also optical trickery.